"Challenge the Ordinary" is the slogan used by Garnica, the leading Spanish plywood producer. It is a slogan that has no business nor marketing purposes, but that stands for the values that make Garnica a group that is indeed out of the ordinary. It all started back in 1941, when the family-run sawmill was founded in Baños de Río Tobía, a small village in the La Rioja autonomous community. Since then, Garnica has constantly and vigorously grown to become a world-class company that is acclaimed for its high-quality panels, used mainly by the furniture, housing, caravan and marine industries. It currently employs some 830 workers in five different plants in Spain (Logroño, Fuenmayor, Valencia de Don Juan and Baños de Río Tobía, the Group's headquarters) and France (Samazan). Garnica's challenge to the ordinary is evident above all in its close attention to environmental issues and to forest sustainability. The Group's goal is to produce the best plywood for the most demanding customers; all while running an integrated process that is based on sustainable plantations and avoiding the exploitation of tropical essences. Garnica manages by itself all processes, starting with planting the poplar trees and all the way through producing the panels which, thanks to their outstanding qualities, are famous around the world. The Group manages its tree nurseries, the trees' growth, the tree cutting (at the most opportune moment), as well as the entire industrial process that comes at the end of the complete cycle. Garnica also places great emphasis on ethics, and has adopted very strict guidelines and consequently has earned the most prestigious and recognised environmental and quality certifications. 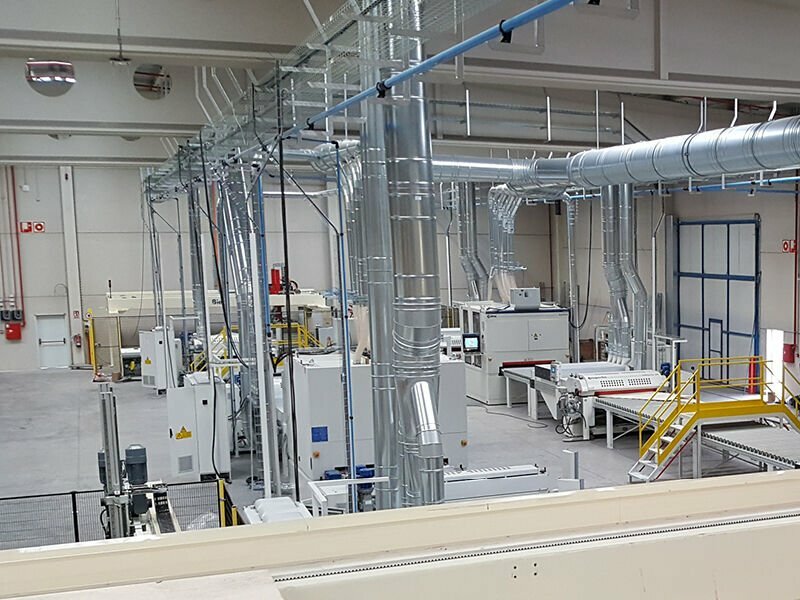 The Group's commitment to innovation is constant and it is no coincidence that Garnica stands out for its continuous investments in the production process and for its introduction of technological solutions that are in line with its high quality standards. 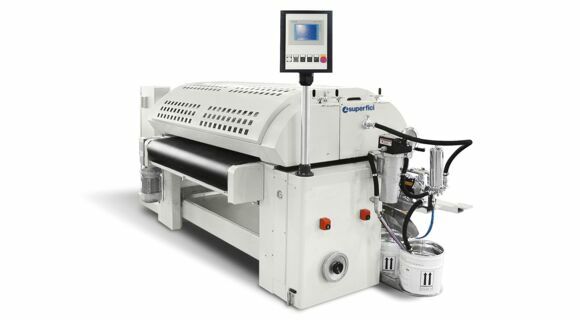 This type of approach naturally led to its ties with the SCM Group, which has been providing Garnica with high quality machinery. 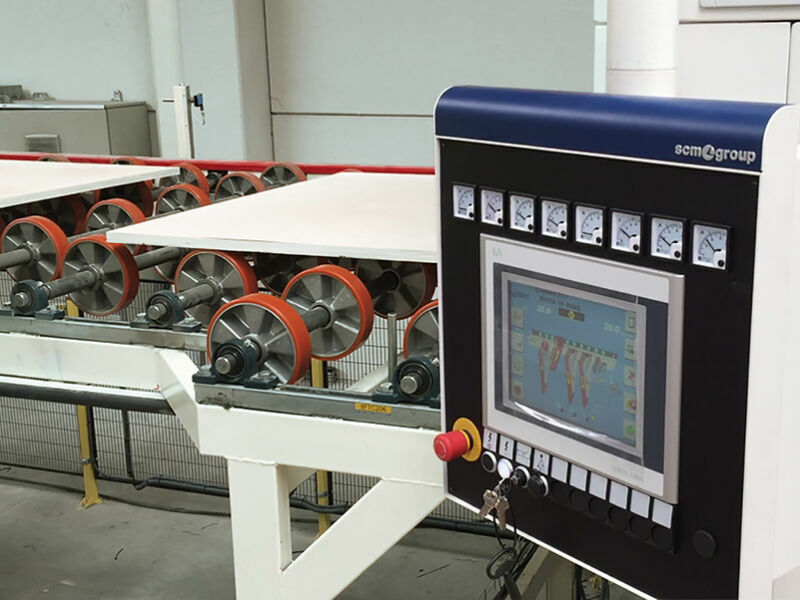 In 2015, a DMC System sander was installed at the Fuenmayor plant – the Group's main manufacturing centre, employing 160 workers. 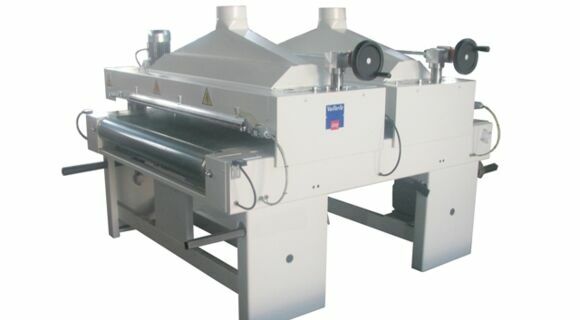 It came with four upper units and four lower units, each consisting of a roller, cross belts and two superfinishing belts for panel processing. 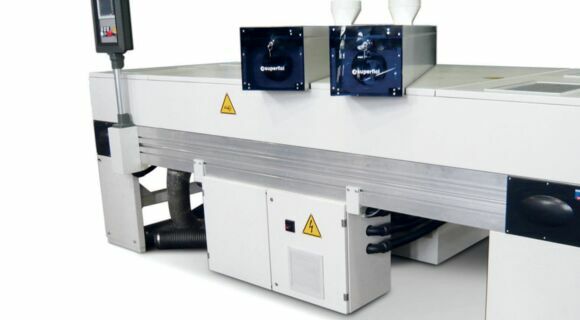 Due to its unique qualities, the DMC sander has been most appreciated by the Group, and last year it issued a massive order for a complete painting and finishing line based on Superfici and DMC solutions. This line has just been commissioned. 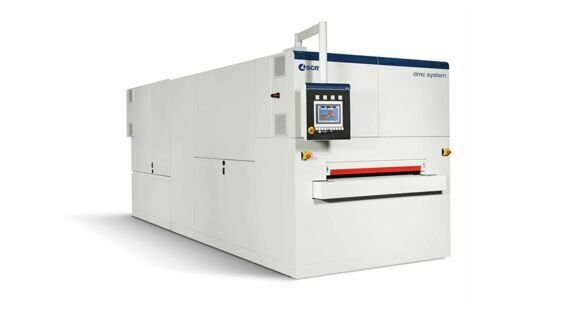 Panels that have been prepared by the first DMC sander are conveyed into the line, which consists of 2 Sisal 1 dusters, 4 Valtorta S4 fillers, 2 3-belt DMC System sanders, 2 Valtorta S1 finishing machines, 6 ultraviolet curing ovens with 2 and 4 lamps. The line is arranged in two 54-metre long parts, served by a swing conveyor, that amounts to a total length, excluding conveyor systems, that exceeds 100 metres. The process involves several steps that produce a final perfectly-finished product ready for delivery. The Fuenmayor plant produces most often laminated panels of various types, mainly for the furniture and interior decoration industries. For SCM this is a most important collaboration with a customer that considers quality, environmental sustainability as well as a global vision that calls for reducing waste and limiting the exploitation of other areas of the planet values that should be generally shared by all.